Welcome to the Newman Centre Guelph! Where heart speaks to heart. The house was recently renovated and re-established as a Catholic Student Centre and Chaplaincy offices for students, faculty and staff at the University of Guelph. Newman Centre Guelph is the spiritual home of Catholic students at the University of Guelph. 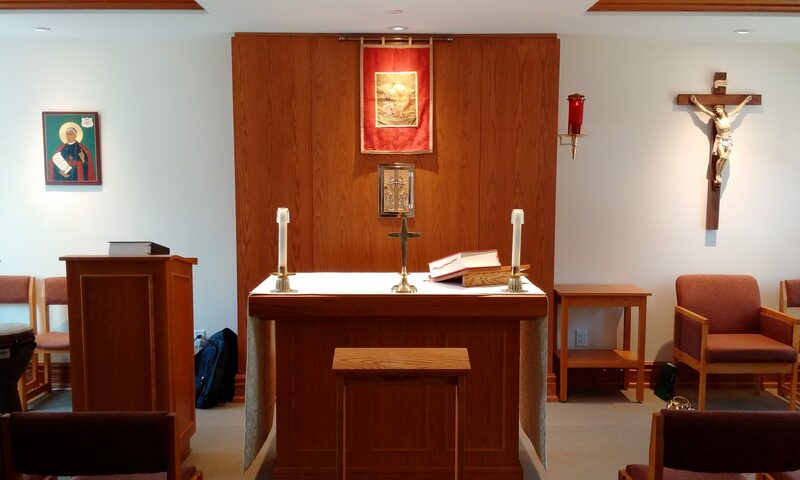 Weekly activities in the Oratory (aka chapel) include weekday Masses, the Rosary, Adoration and Sunday Mass (4:30pm). Weekly community activities include small group faith studies, dinners, and various talks. The University Catholic Community Student Club hosts various events including a monthly social. The Newman Centre is open during the week for students to pray, to study in the library or just hang out in the lounge or in the kitchen. Mass at 4:30pm in the Oratory with distribution of Ashes followed by Adoration with Stations of the Cross until 6:00pm. and to join our Facebook Group.